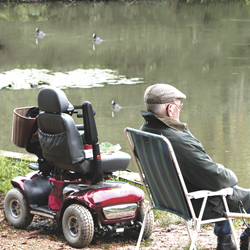 Independence at Home is a grant-making charity, which exists to support people with long-term illness and disability. Most are from very low income households. Since 1965, our charity has improved independent living for more than 43,000 people living at home with disability and long term illness. Our financial support has given those in most need an opportunity to live where they want, how they want and with whom they want. 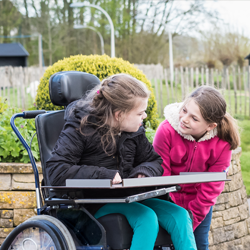 During 2017/18 we made 1,350 grants with an average value of £335, helping towards the cost of mobility and disability equipment, communication aids, therapeutic toys, home adaptations and other essential household items to aid daily living. Every penny of your donation will be used to make grants to some of the most vulnerable members of our society. Click here to see what your donation can fund. A free fundraising service where every penny goes direct to charity. To make a single or regular online donation using this secure donation service, please click button. Want to help us raise more - just by shopping online? Well now you can with Give as you Live! When you shop at over 4,000 top stores including Amazon, Expedia and John Lewis via Give as you Live, they’ll turn a percentage of your spend into free funds for our charity! Simply sign up, search for the retailer and start shopping. It’s that simple. Get started today! You can give a gift in memory of a loved one, helping to make another’s person future so much brighter. Click button for more information. Charities and trusts can benefit by transferring assets to us when trustees wish to retire, when an original purpose is hard to fulfil or when the charity is being wound up. Your original purposes can continue or be amended to stay relevant in the future. We have different options depending on whether your charity’s trustees wish to remain involved and the level of assets you are seeking to transfer. We handle all requests for support and awards of funding. We make sure there is feedback to anyone from your charity who remains involved. If assets are transferred and the charity wound up, your trustees are relieved of the cost and burden of administration and compliance with Charity Commission regulation. 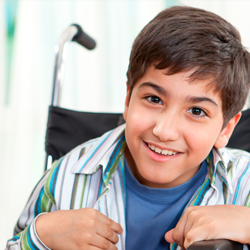 We can work directly with the Charity Commission to help you transfer assets. Amounts available for distribution can sometimes be increased depending on how your charity currently holds its assets. "Thank you for the recent grant towards my bed and mattress. It has made such a difference to me, I can sleep better now and it’s more comfortable for my back and joint pain." "Thank you very much for the help you have given me. After what has been a traumatic year, it’s lifted some of the burden off my shoulders." "Thank you from the bottom of my heart for your charitable donation towards the cost of house adaptations. It means that I can be more independent in my own home." "I just want to say thank you so much for your generous contribution to our wet room. It has certainly helped my independence and dignity." "Without your help I’d have no life. I’d like to thank you for my freedom." "Thank you for the funds towards the cost of a mobility scooter for my client. The improvement in her quality of life has been profound. Her husband now states that she is ‘never in’." "You have made possible the purchase of a number of life changing aids that have infinitely improved the quality of life for some very vulnerable people." Our website accessiblity is very important to us. It means we aren’t doing our job properly. If so, click here.